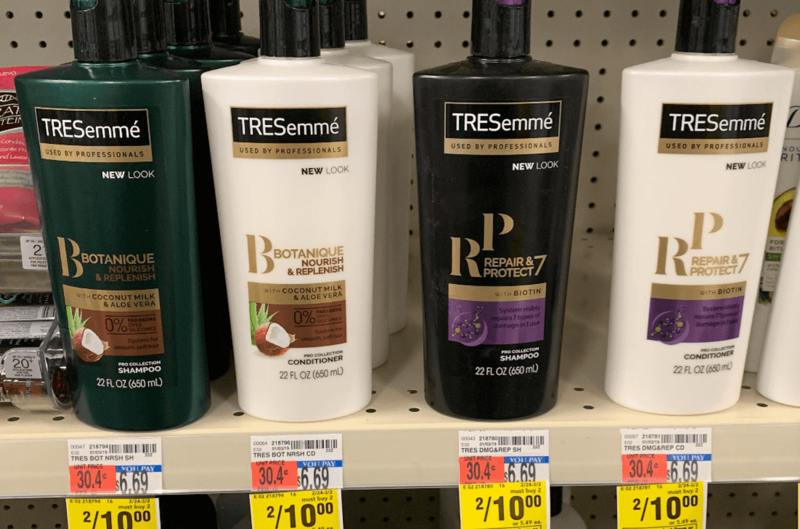 CVS Shoppers, Score TRESemmé Pro Collection For Just $1.50 + FREE Suave Professionals! 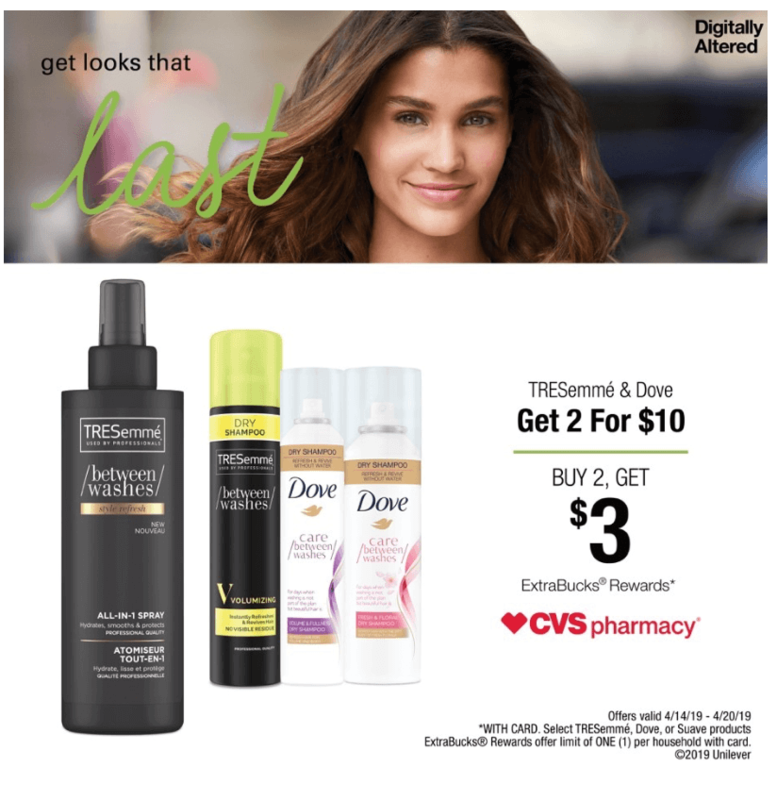 CVS Shoppers, now through 4/20, select TRESemmé and Dove hair products are on sale for 2 for $10. Suave Professionals Hair care is on sale for 2 for $6. In addition, when you buy 2 you will get a $3.00 ECB. We’ve got some nice high-value coupons out right now that pair nicely with this in-store sale. Check out one deal idea below showing you how to score TRESemmé Pro Collection products for as low as $1.50 after stacked offers & coupons. Awesome stock up price! 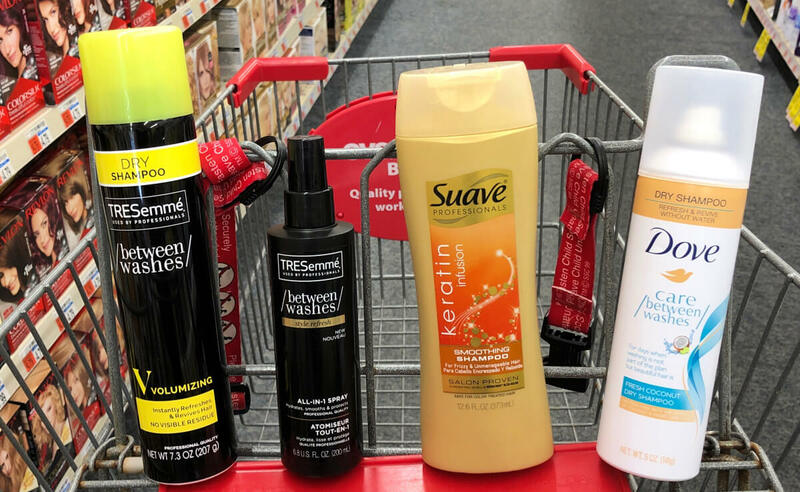 You can score FREE Suave Professionals hair care products this week at CVS! They’re on sale for 2 for $6 plus we have this nice $3/2 Suave Professionals wash and care products coupon from the 3/31 Retail Me Not insert. Buy 2, pay $3.00 after coupon and then score a $3.00 ECB back making them both FREE! I’m also loving the TRESemmé Between Washes Volumizing Dry Shampoo. It’s the perfect hair care product for the days I don’t wash my hair. A quick spray of the professional-quality formula, infused with Mineral Clay and Citrus, is all it takes to revitalize my wild head of hair! Let us know what deals you’re scoring with these nice offers! Up to 2 FREE Eucerin Skin Calming Cremes at CVS!